Comments Off on Yellowstone Wallet Alert! Like most everything worthwhile in our world, visiting Yellowstone—and the Tetons—will take more out of your wallet this summer. Entrance fees have remained the same for the past nine years. Fees are charged per vehicle. Beginning June 1, 2015, visiting Yellowstone for one to seven days goes from $25 to $30 per passenger vehicle. Grand Teton National Park will have a separate pass for $30. This is a major change, since previously one fee provided visitors with a seven-day entrance permit for both Yellowstone and Grand Teton National Parks. But people visiting both parks will now be able to save $10 by purchasing a $50 two-park vehicle pass, also valid for one to seven days. individuals (by bicycle or on foot, for example) will pay $15 for Yellowstone or $20 for both parks. An annual pass for Yellowstone will be $60. This pass offers visitors in the local area an option that is less expensive than the $80 Interagency Pass. Interagency Pass rates remain the same: Annual ($80) and Senior ($10). Military passes and Access passes (for people with permanent disabilities) will remain free. Backcountry pass fees are going up this year from Memorial Day to Sept. 10. These fees apply per night for all individuals 9 years of age or older. Backpackers and boaters will pay $3 per person, per night, up to a total of $15 per night for groups of 5 or more. Stock users will be charged $5 per person, per night. You can purchase an annual backcountry pass for $25, and the fee for advance reservations remains $25. As you enter the park heading south on U.S. 191, you are greeted by this sign and Black Butte. This Saturday, September 27, 2014, is National Public Lands Day. That means that not only the U.S. national parks, but also lands managed by the Bureau of Land Management, the U.S. Forest Service, and the U.S. Fish and Wildlife Service waive their fees to visitors so you can get out and appreciate the beauty of our parks and refuges for free. In 2013, about 175,000 volunteers worked at 2,237 sites in every state, the District of Columbia, Guam and Puerto Rico. The photo above, taken by Leslie Kilduff, can be found on page 33 of the guidebook’s fourth edition. Three cheers for volunteers! And enjoy your Saturday in a park or refuge. November 9 to 11 for Veterans Day holiday weekend. If only I could join you on the benches at Great Fountain Geyser or get to see one of this summer’s amazing dual eruptions of Fountain and Morning Geysers! January 14 to 16 (Martin Luther King, Jr. weekend). A great time for seeing wildlife and the beautiful ice-crusted trees around the geyser basins. April 21-29 (National Park Week). Not everything is open yet, but bison are giving birth to their little orange calves and crowds are nonexistent. June 9 (Get Outdoors Day). The full Yellowstone season is gradually getting underway. September 29 (National Public Lands Day). A good time for avoiding crowds and hearing the bugling of elk. November 10 to 12 (Veterans Day Weekend). Most facilities are closed by now, but you can still travel the Gardiner to Cooke City northern road to visit Mammoth Hot Springs and the wildlife-rich Lamar Valley. 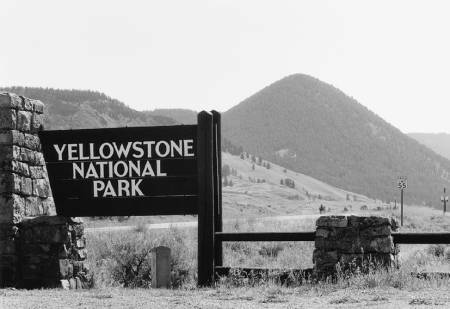 In case you haven’t heard yet, the entrance fee for Yellowstone and the Tetons and probably all of the national parks will be waived on three weekends this summer . The dates are June 5-6, August 14-15, and the one day, September 25, which is National Public Lands Day. The usual combined fee for Yellowstone and the Tetons is $25.00 per vehicle, good for seven days. Tomorrow, April 16 , the park opens to wheeled vehicles now that the roads have been (at least mostly) plowed. Better yet, if you go this weekend the $25 entrance fee is waived. Wish I could be there!